Muskie must be caught on legal sport fishing tackle (hook & line) in the United States or Canada in strict compliance with all local, state, or provincial laws. Release division: 30 inch minimum. Kept division: That length set by the governing agency of that body of water. Muskie must be hooked and played by only one person, and only that person may enter the Muskie in the contest. Assistance in landing is permitted. Entrant must be a member in good standing of Muskies Inc. prior to catching the Muskie. All entries must be mailed to their chapter contest chairperson and postmarked within 30 days of the date of catch. Members may enter their own catches directly on the Web Site. All entries for Nov. and Dec. must be received by the international chairman by Jan. 10. Unaffiliated members should mail their entries to the international chairman within 30 days of the date of catch. Release Division: 30-inch minimum for all bodies of water. A release patch and/or an individual certificate will be awarded for each Muskie 30 inches or longer that is released. Please indicate your desire to receive these on the front of the entry form. 5A. 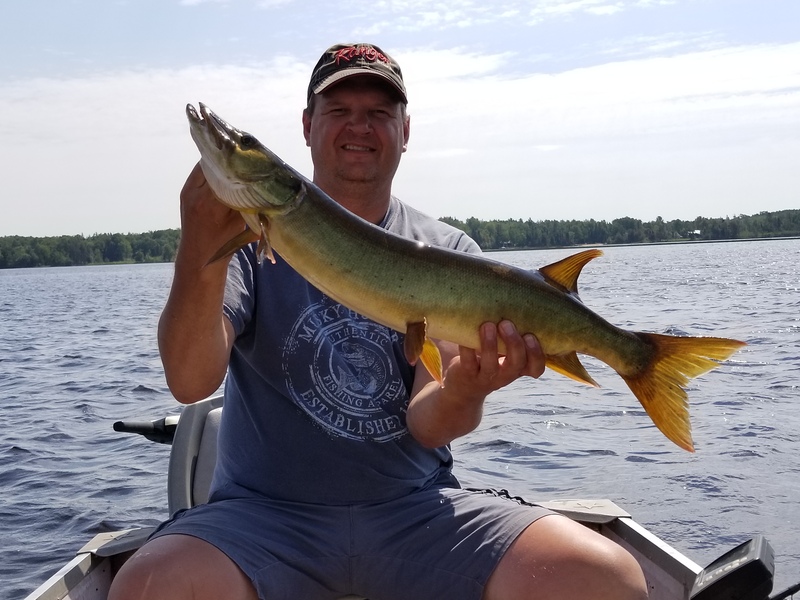 The longest Muskie released in the men’s division, women’s division, and the junior division will receive a free replica of their Muskie courtesy of Fittante Replicas of Antigo, WI. (Total of 3 per year) This is the longest by total inches including fraction of inches. At least one verifiable witness and at least one verifiable side view horizontal photograph of the Muskie is required. The international contest committee will review all entries for validity and their decisions will be final. At its discretion the committee may require additional documentation consisting of a photograph and/or a 2nd witness before an entry is accepted. Men’s Masters – 10 Awards. Any male member who has recorded 250 or more releases in the Lunge Log. Women’s Masters – 2 Awards. Any female member who has recorded 100 or more releases in the Lunge Log. Men’s – 10 Awards. Any male member 18 years of age or older with less than 250 releases. Women’s – 10 Awards. Any female member 18 years of age or older with less than 100 releases. Juniors – 10 Awards. Any male or female member 17 years of age or less on January 1 of a calendar year. Lunker Of The Month – Longest release by any member of Muskies, Inc. All ties qualify. Men with less than 250 and Women less than 100 on January 1 of a calendar year will remain in that division for the year. Release Points are based on 4 points for each release and 1 point for each inch over 30 inches. Any measurement of 1/2 inch or longer will be rounded up. Any fraction of less than 1/2 inch will be dropped. This will register your fish and points automatically and I will retrieve them from the site.